This is a rich, delicious dish. The whole ‘ravioli splitting in the boiling water’ hazard is gone and this is something you can put together ahead of time and then bake just before serving. Very easy, very convenient and very good ! Heat oven to 350 degrees and spray a 13×9 pan with Pam. 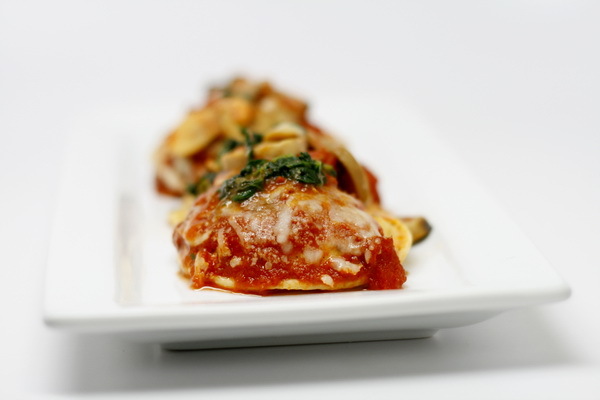 Spread ¾ c sauce in bottom and arrange ½ the ravioli in the dish. Top with the spinach and mushrooms and then sprinkle with salt, pepper, onion powder and garlic powder. Top with half of the remaining sauce and 1 c mozzarella cheese. Add another layer of ravioli, then the rest of the sauce. Finally add the rest of the mozzarella and then sprinkle with parmesan cheese and cover and bake 40 minutes. Remove the foil and bake another 15 minutes until hot and bubbly. Then let sit 15 minute before serving. Preheat broiler. Spray a 9×13 baking dish with Pam. Mix breadcrumbs with ¼ c parmesan cheese. Mix herbs and spices. Rinse chicken breasts in water and then sprinkle with herb mix before dipping in breadcrumbs to coat. Press crumbs into the chicken so they stick well. 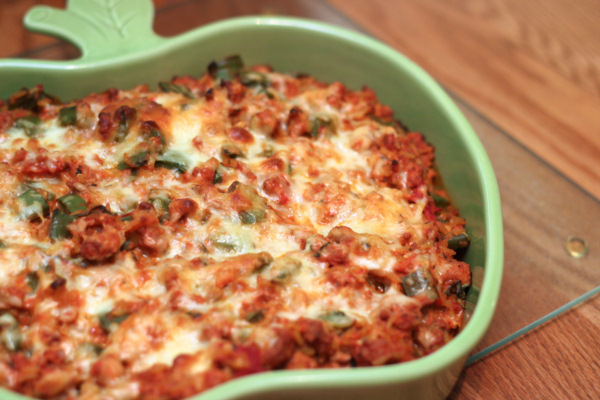 Lay chicken in pan and sprinkle with any remaining bread crumbs. Broil 6 minutes, turn and lightly spray the tops with Pam (so they will brown nicely) and then broil another 6 minutes. Meanwhile cook pasta according to package instructions. 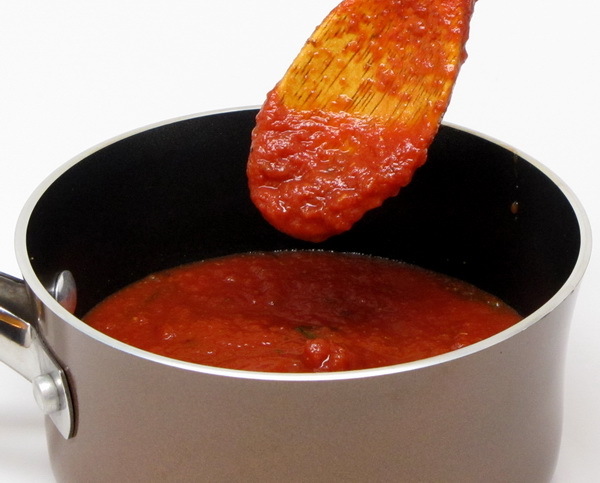 Heat 1 ½ c sauce (for pasta) in microwave or on stovetop. 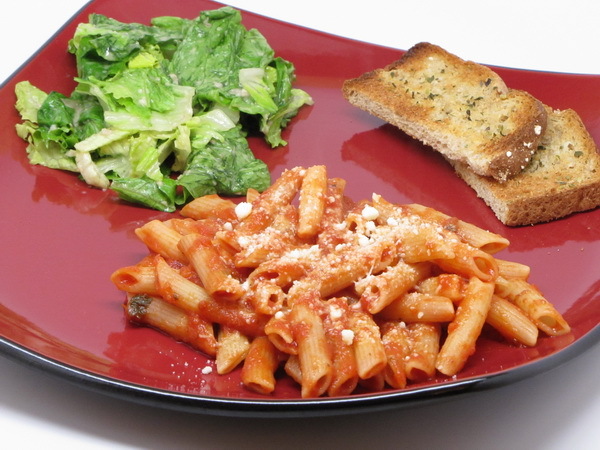 When pasta is done, drain, mix with sauce and sprinkle with 2 T parmesan cheese. 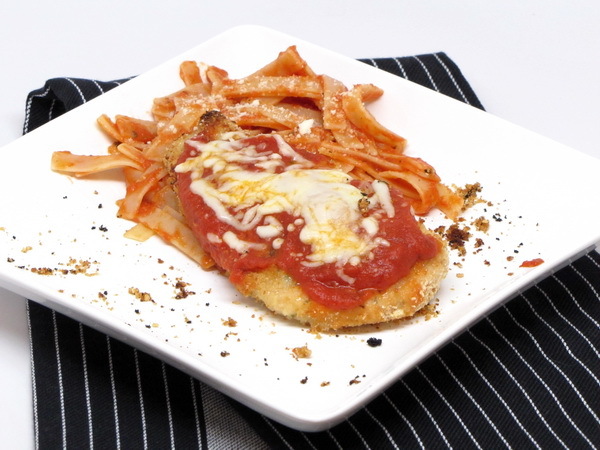 Remove chicken from oven and cover with ½ c sauce and sprinkle with mozzarella cheese. Turn off broiler and turn oven to 350 degrees. Place chicken back in oven 5-7 minutes or until cheese is melty. This one really hits the spot ! I spice it up a little by adding crushed red pepper flakes 🙂 Don’t like eggplant, then substitute tomato slices. But be sure to give this one a try. Preheat oven to 450 degrees. Spread sauce on Boboli. Sprinkle with a little dried oregano flakes, onion powder and garlic powder. 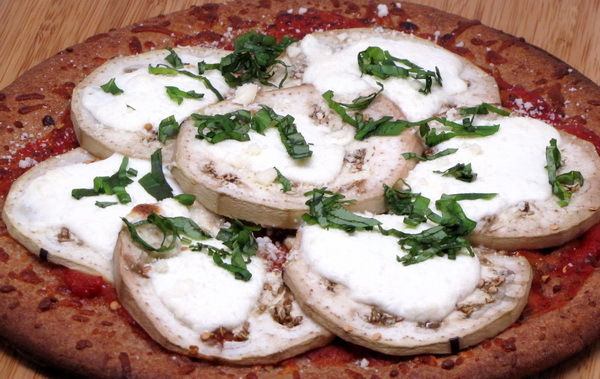 Top with eggplant slices and drop ricotta by tablespoonfuls evenly over the eggplant. Bake directly on oven rack 12-15 minutes. 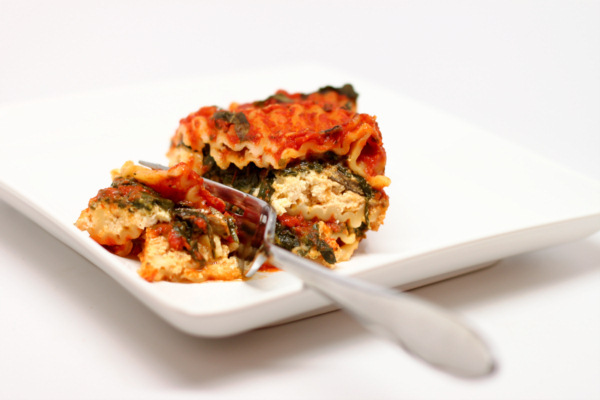 Sprinkle with basil and parmesan right when it comes out of the oven.